The popular conception of piracy revolves around the swashbuckling adventures that took place in the Caribbean in the 1500s, as well as the so-called Golden Age of piracy that occurred from the 1660s to the 1720s. In fact, piracy has a much longer and broader history to its name. 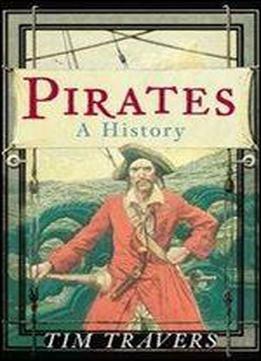 This comprehensive history covers piracy from its origins in the ancient and classical periods and follows its evolution through the Middle Ages before treating in fine detail the era of the Caribbean and the Golden Age. With sections also addressing the infamous Barbary corsairs, Chinese and Pacific Ocean pirates, and modern piracy, this is the most comprehensive history of high-seas banditry to date.